Justice for Iran, April 16, 2013 | Justice For Iran and six other human rights organisations have launched an online petition calling on heads of the European Union to request from member states to impose conditions for their contribution to international programs intended to fight against drug trafficking in Iran. 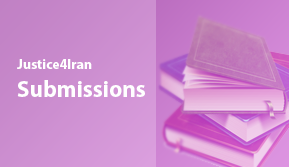 The conditions are: the immediate implementation of a moratorium on death sentences related to drug-related charges by Iranian authorities, the publication of the amount and allocation of their contributions, and the full allocation of these contributions to prevention programs and not repression in Iran. Read and sign the petition here. Currently the United Nations Office on Drugs (UNODC) is the Islamic Republic of Iran’s main source of funding for fighting against drug trafficking. However, JFI and several other human rights groups have stated on numerous occasions that through its program the UNODC and its donor countries are aiding in the increase of executions in Iran. According to recent statistics, two-thirds of the executions carried out in Iran in 2012 were for drug-related charges. For the past several years Iran has held the record for the most executions per capita in the world. In October 2012, on the World Day against the Death Penalty, JFI and four other NGOs, including the ECMP, published a statement calling for a moratorium on international funding to Iran’s anti-drug trafficking programs until the Islamic Republic renounces its policy of execution for those issued drug-related charges. Last week the government of Denmark made the decision to cease all funding for the UNODC Iran drug program. 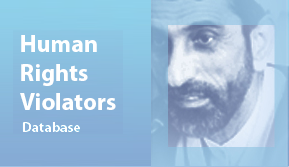 JFI and two other Iranian human rights NGOs published a statement to commend the Danish government’s decision and called on other donor countries to follow suit.